Manikato – Australian Winning Hall of Fame Thoroughbred. Manikato raced at the end of the 1970’s and the beginning of the 1980’s in Australia. He was the second horse to win over a million dollars in prize money. He was bought at the South Australian yearling sales for a whole $3500. The colt was difficult to handle and was described as not being much to look at in either the looks or temperament department. He was gelded to try and improve his manners, but it had very little effect on him. He remained high strung and irritable for most of his life. Manikato began his career as a precocious two year old that was well known by the starting stall staff. At the tender age of two he won the Blue Diamond Stakes and Golden Slipper Stakes double. His three year old season had twelve starts, eight of those he won and three of them he came second. 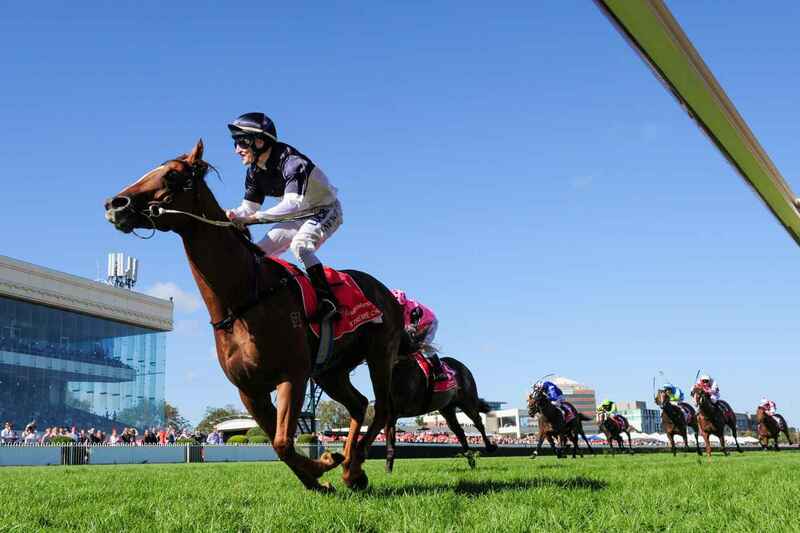 The start of the season commenced with a win in the Ascot Vale Stakes in record time. Only three weeks later he raced against older horses in the Marlboro Cup, stealing it from under their more experienced hooves. By now was he becoming a fast favourite for his bad manners, not only at the bookie’s office and with those who enjoyed horse betting in NZ, but among spectators too. He then started in the Craven A Stakes, but lost to Always Welcome by the margin of a neck. It turned out that he had a slight rise in temperature on the day of the race, which may account for his defeat. From there he tried his first race over a mile, and won it by four lengths in course record time. Handicappers were now aware of the gelding’s abilities, and began to load him with weights in order to give the other horses a chance. Carrying a 3 year old weight record of 58 kg, he passed the wining of most of his three year old races line to become the first 3 year old to win over $500,000 in prize money, and richly rewarding his backers. Manikato carried on to race three more seasons, which sadly were plagued with illness and injury. When he was four he started at the AJC Galaxy Stakes with a whopping 60.5 kg, and finished eighth over all, which was way below his usual performance. After the race he was found to have suffered a bleeding attack. He was rested for a while after that, but carried on racing despite the bleeding, which it is now illegal for a thoroughbred to do. 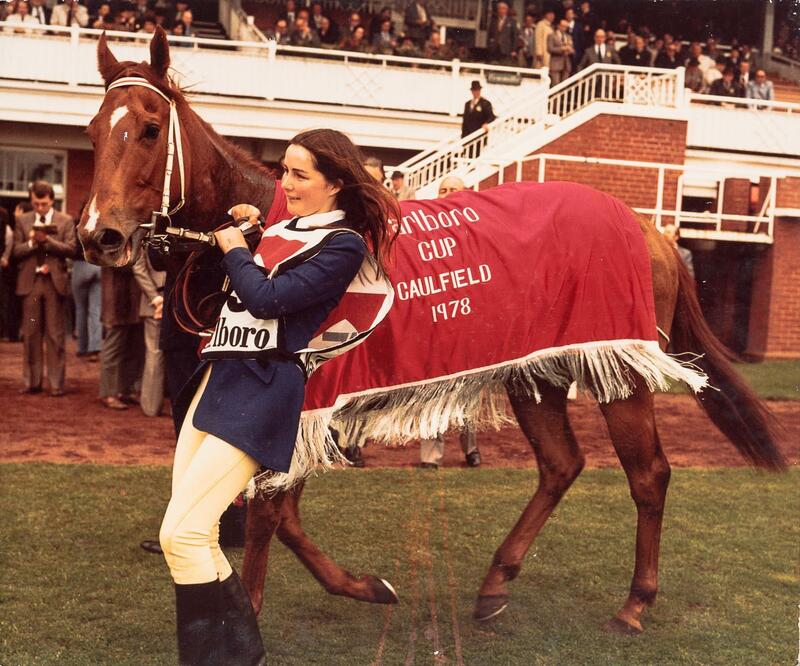 In 1981 Manikato won the William Reid Stakes, Futurity Stakes and Orr Stakes again. After the last race he damaged his suspensory ligaments, which are critical to a horses running ability. Every day his trainer would put bags of ice on his legs to try and reduce inflammation. Despite this, he remained a favourite at the bookies and returned to Sandown with a win carrying a huge 63.5 kg. Two weeks later he ran the Marlboro Cup again with 60.5 kg. He came second to Soldier of Fortune who was running with 8kg’s less. Manikato next ran the Queen Elizabeth Cup, which is run in honour of the Queen’s attendance at the Caulfield meeting. He not only won but equalled the course record of 1:35.7. In all, he had 47 starts for 29 wins, 9 seconds and 4 thirds, including five successive William Reid Stakes and 4 Futurity Stakes.